Step-by-step directions to make chicken soup for holidays or all year. The most requested meal in my house is undoubtedly chicken soup with matzah balls. My daughter loves it loaded up with noodles, kreplach and rice when I have the time, but she’ll also happily take it made simply with some super fluffy matzah goodness. Chicken soup is one of the most beloved Jewish foods, and also one of the dishes we get asked about most often. 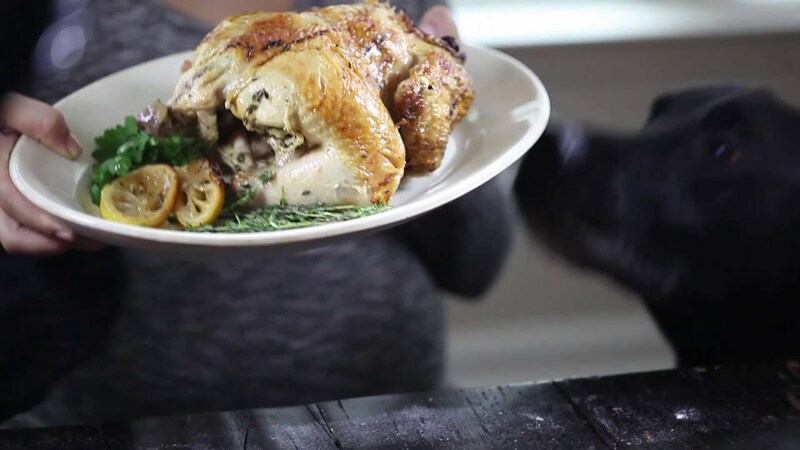 It’s the kind of dish that can be made dozens of ways: with leeks, with turnips, without turnips, with sauteed onions, with whole onions, with just bones, with a whole chicken and even with chicken that has already been roasted. Here is the recipe I make time and time again – simple, delicious and infused with love, which is most certainly the secret ingredient. Make a bouquet garni with the fresh dill, parsley, and peppercorns. Add bouquet garni to pot. Bring pot to boil and let simmer for 1 hour. 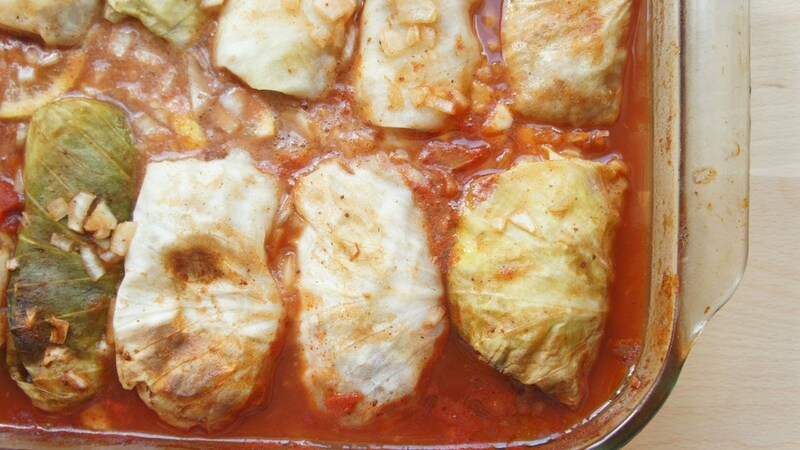 Remove chicken and vegetables from pot, and remove breast and dark meat from bone. Put bones and other parts back into pot and let simmer another 1-2 hours on low-medium, covered. To make the matzah balls, combine eggs, oil and seltzer in a large bowl. Add matzah meal, salt and any seasoning (if desired) and mix with a fork until just combined. Do not overmix. Place in fridge for 30-60 minutes. Fill a small bowl with cold water and a few ice cubes. Dip hands in ice water and roll matzah balls gently with palms of hand. Dip hands in cold water in between each roll. Cook matzah balls in water covered on high for 35-40 minutes. 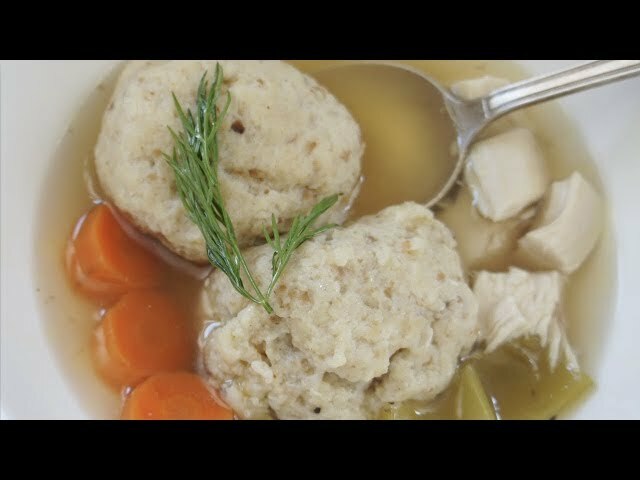 Serve matzah balls with chicken soup, chicken, vegetables and fresh herbs.